Give OUT Day, the only national LGBTQ day of giving, is April 18, 2019. 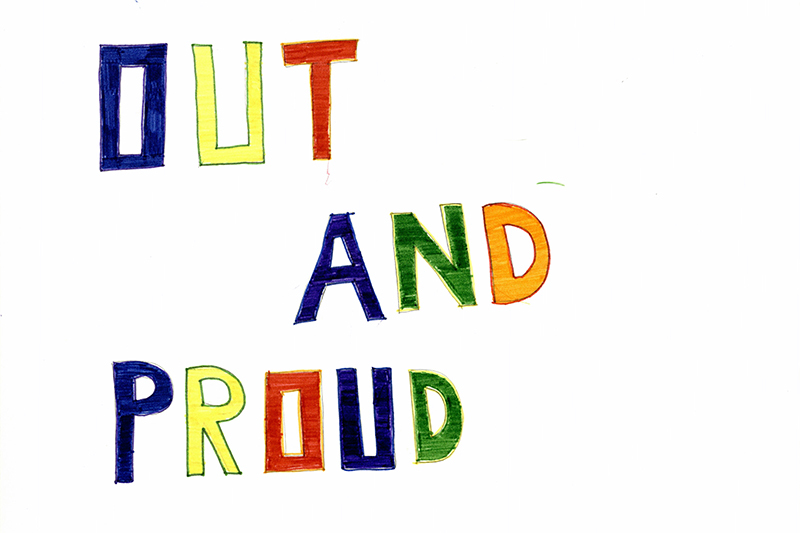 The Queer Omaha Archives in UNO Libraries’ Archives and Special Collections will participate in Give OUT Day, the only national day of online giving for LGBTQ+ nonprofits. Give OUT Day 2019 takes place on Thursday, April 18, 2019 from 12:00 A.M. to 10:59 P.M. Last year, Give OUT Day raised nearly $1 million to support LGBTQ+ nonprofits. Throughout the daylong event, thousands of people make gifts to support a diverse array of LGBTQ+ nonprofits across the country, ranging from the arts to social services agencies, advocacy groups to sports leagues, and community centers to health care nonprofits. To support the archives, visit the Queer Omaha Archives' Give OUT Day webpage to schedule your gift in advance or visit on April 18 before 10:59 P.M.
"The Queer Omaha Archives has added over 30 oral history interviews since 2016 and 9 interviews have been made available online in the last 12 months with help from Give OUT Day 2018 supporters. Oral history associate Luke Wegener would not be able to do the important work he does without the contributions of private donors to the Queer Omaha Archives," said Amy Schindler, Director of UNO Libraries' Archives and Special Collections, the home of the Queer Omaha Archives. Contributions will support the continuing growth and preservation of Omaha’s LGBTQIA+ histories by recording oral history interviews with community members, preserving the interviews in perpetuity in the archives, and ensuring continuing public access to these community histories. The oral history interviews will join historical photos, documents, films, and the thousands of items that make up the Queer Omaha Archives in UNO Libraries’ Archives and Special Collections. 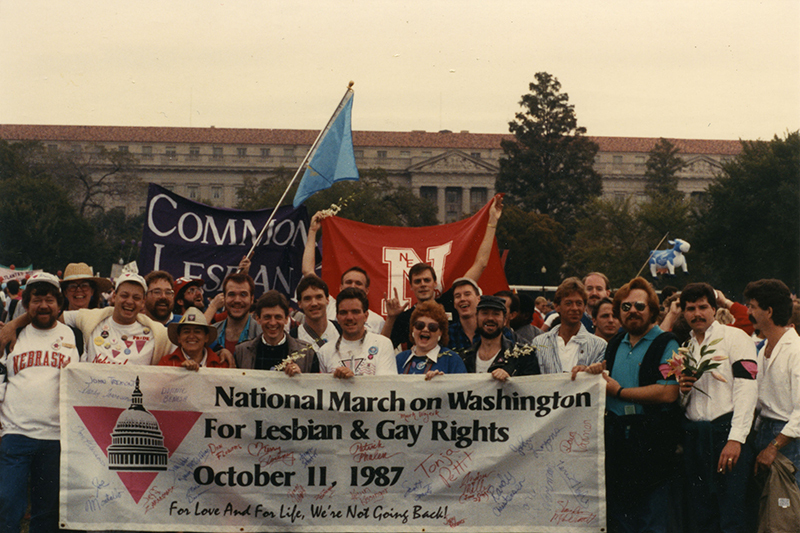 The Queer Omaha Archives was established at the University of Nebraska at Omaha Libraries’ Archives and Special Collections in 2016 to collect, preserve, and share historical material documenting Omaha’s diverse LGBTQIA+ communities. 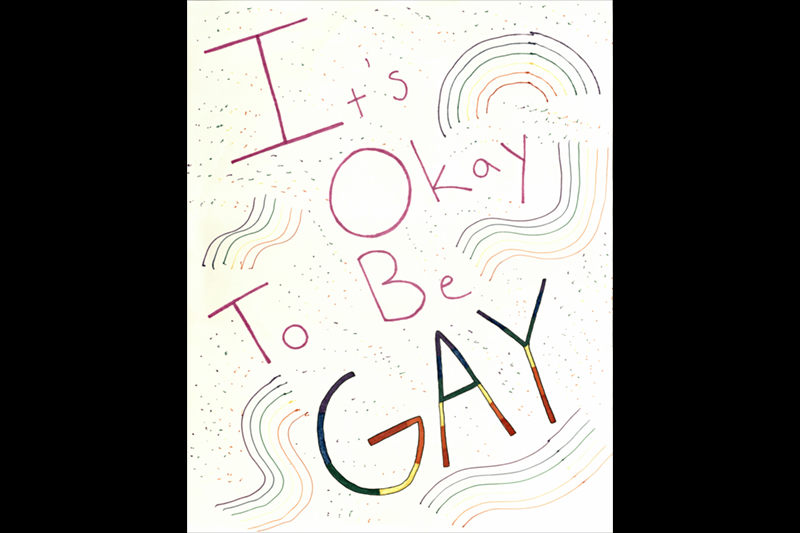 The historical material in the Queer Omaha Archives is shared with the community through presentations to school and community groups, exhibits, research projects, and online digital collections. 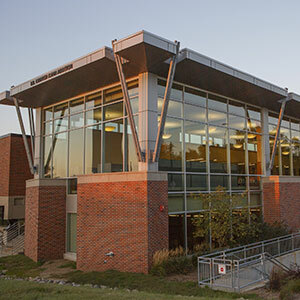 Dozens of individuals and community organizations have donated their collections of historical material to UNO Libraries’ Archives & Special Collections to create an archive that is over 70 cubic feet with 3 GB of digital records in size and actively growing. The collections include posters, flyers, photos, scrapbooks, films, meeting minutes, oral history interviews, correspondence, ephemera as well as regional newspapers, magazines, and newsletters. About Give OUT Day and Horizons Foundation: Give OUT Day has provided vital unrestricted operating funds to organizations since its inception in 2013. Over 45,000 individual donors have contributed nearly $5 million and supported more than 600 different organizations in every part of the country.